THIS WEEKEND IN MUSIC: Limbs! Record Store Day! 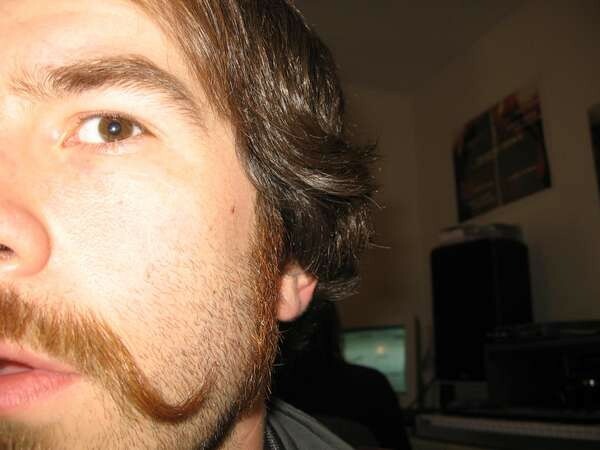 Dave G.: Everyone loves a curly mustache. Dave G. is alive, well, kicking The longtime Spokane musician — known for his work in defunct bands Future Relics, Lines Collide and Weight — is back for a show tonight. Limbs, a solo project that pairs G. up with drummer Jason Cross, plays tonight at Empyrean at 7 pm. Five bucks. Seriously, don't miss this. Whitworth and GU kids do a big group hug tonight at their co-planned benefit to raise awareness of human trafficking. The show portion of the program features performances by Kaylee Cole, Shenandoah Davis and the Terrible Buttons, among others. Check it out in Cataldo Hall. $5. Starts at 7. There are literally over a hundred reasons to celebrate Record Store Day tomorrow. Aside from being a fan-created holiday celebrated worldwide and a perfect example of "buying local," there are more than a hundred Record Store Day exclusives that drop tomorrow. Everyone from Ani Difranco to Bruce Springsteen, and the Deftones to Sonic Youth have got something super-special ready for tomorrow. And while the super-duper limited stuff might not be in our local stores (Unified Groove Merchants, 4,000 Holes, Recorded Memories and the Long Ear in CdA), it's kind of exciting that they might! Read all about what we have to say this week about RSD here, and check out the full catalogue of releases for the holiday here. Bob Gallagher has booked a couple of bands for the occasion: Stranglers of Bombay and Brian Young (of Silver Treason) play. Horse Feathers must like us or something — this has gotta be their fourth or fifth performance this year. We're not complaining! Keep coming back! The rootsy, Kill Rock Stars indie outfit returns for a show tomorrow at Empyrean. It's a 21 show, and starts at 10 pm. $9. Wiggle your jiggly parts beforehand at the Cretin Hop. The all-ages punk venue has become a favorite spot for Koreshakti Tribal Fusion, a tribal dance group. Dance along with them or wait until the Boxcutters, a gritty local hip-hop outfit take the stage afterward. Show starts at 7:30. $8. Team CoCo just posted another video. Plus, ticket news!